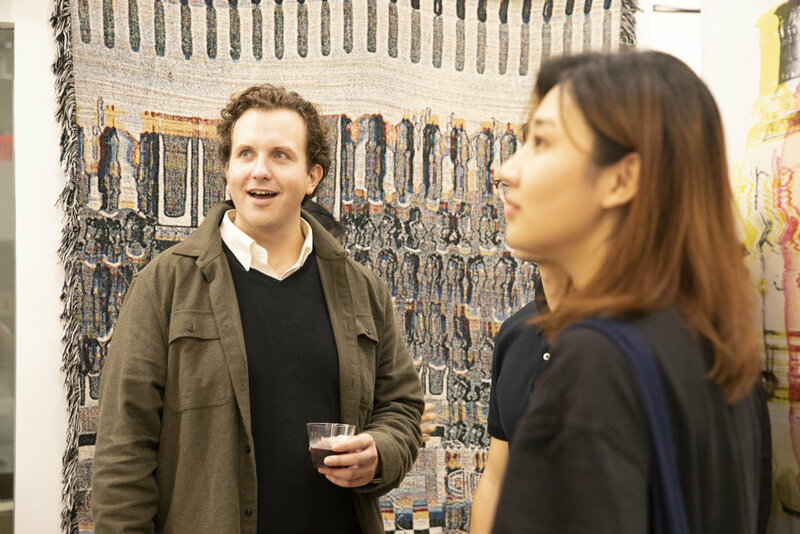 This year's Fall Salon was a great success and we are so pleased to share some highlights with you. 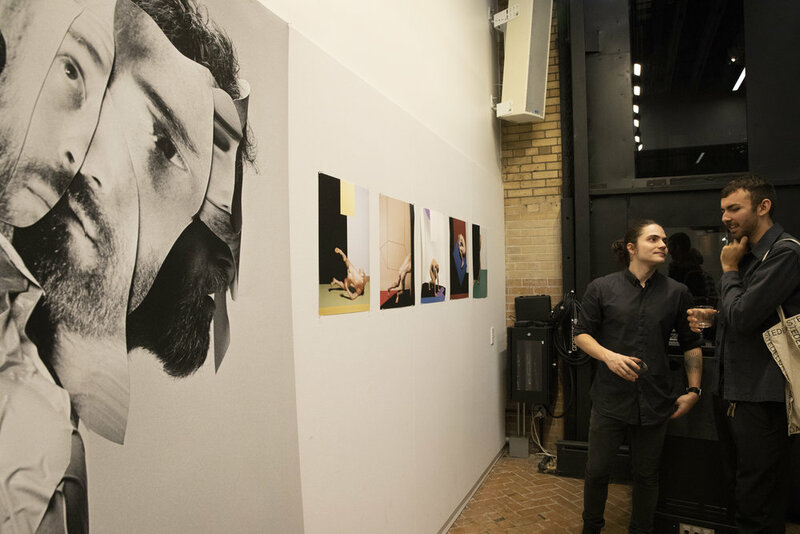 Included among the stellar photographic works were several large-scale installations, a screening of short films, works in interactive video, sculptural elements, sound experiments, and performances. If you missed us this Fall, be sure to stop by in the Spring for what is sure to be another successful event. 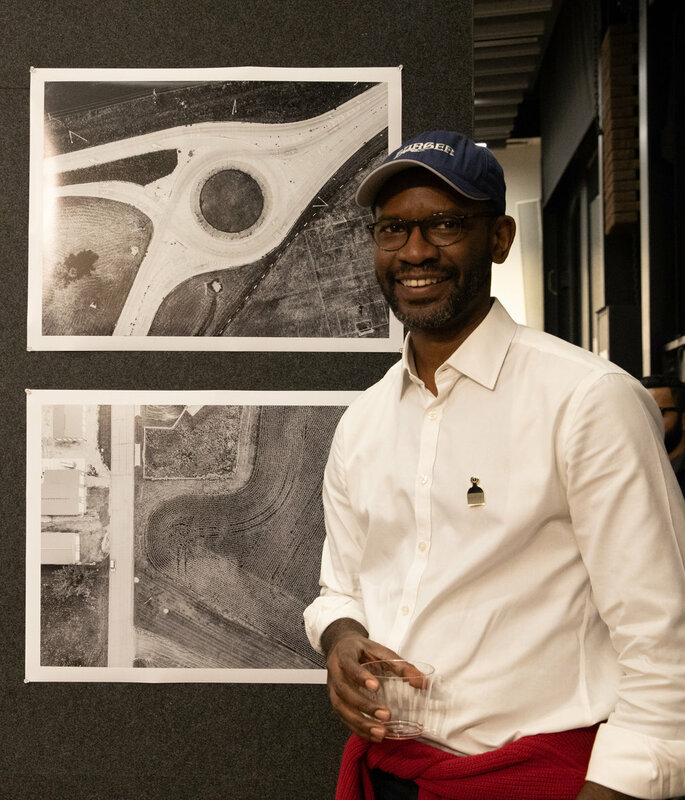 In the meantime, enjoy the following recap of our 2018 Fall Salon! Kyle Henderson installing his work. All set up and ready for the evening! 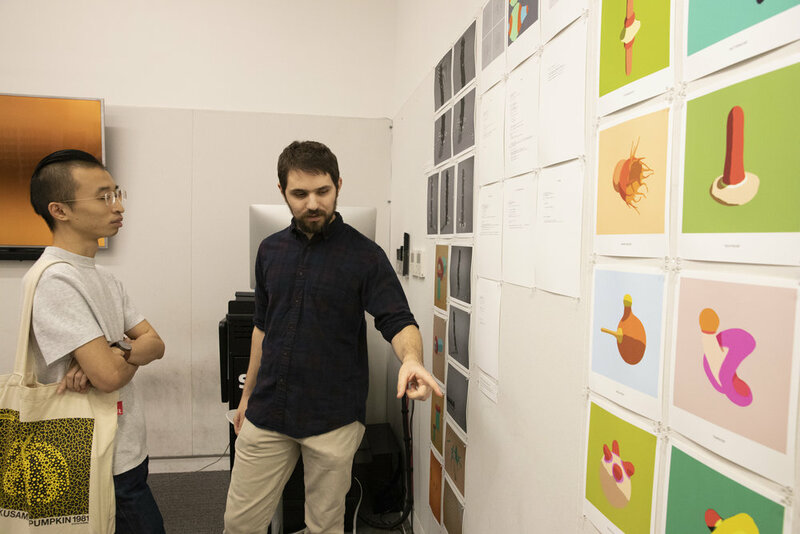 Thesis students Paul Simon and Kyle Henderson discuss Simon’s work. Wanki Min standing beside a consortium of work from his ongoing series. Heather Olker and guest enjoying her first Fall Salon. Installation view of Brianna Calello’s work. 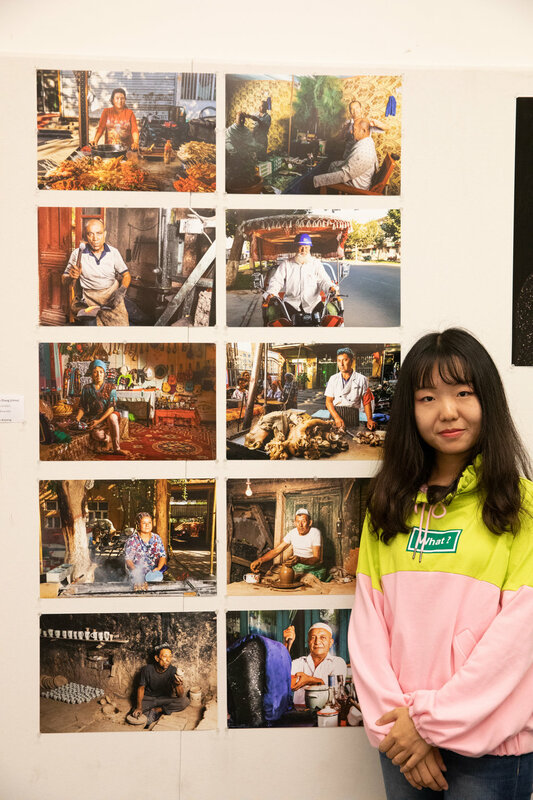 Po Han Huang explores photography through the use of social media. Sara Arno takes a break with her work. Petros Lales presents his 3D modeled organelles to a fellow student. 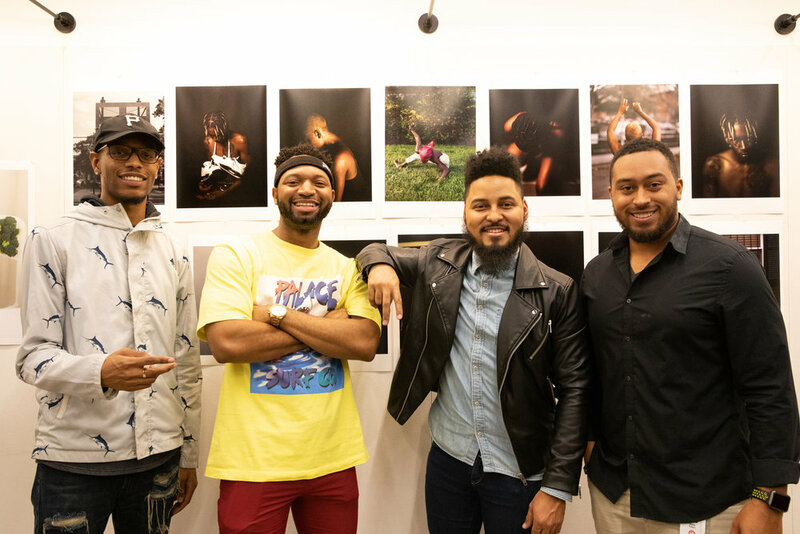 New student Terrance Purdy and friends with his selection of portraiture works. Thesis student Brett Henrikson with textiles based on his images. New student, Hyemi Kim, poses for the camera. A guest gazes at the works of thesis student David Cade. 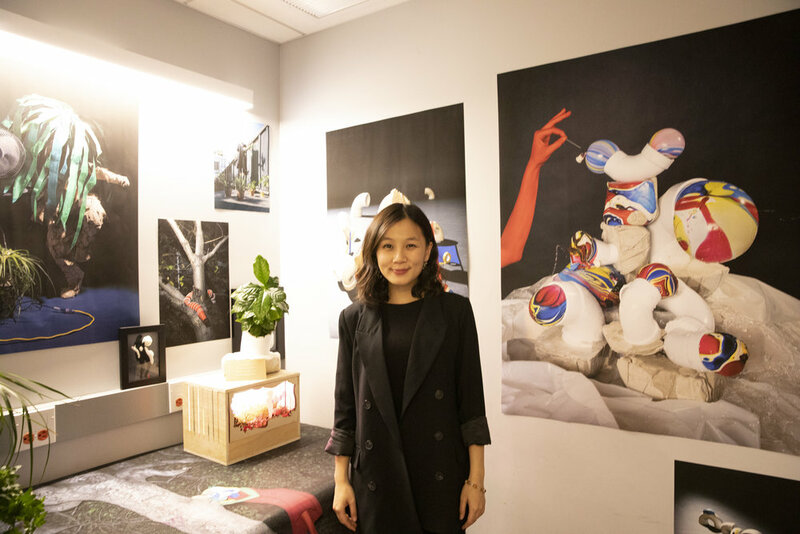 Yi Hsuan Lai with her installation at Fall Salon. Details below. 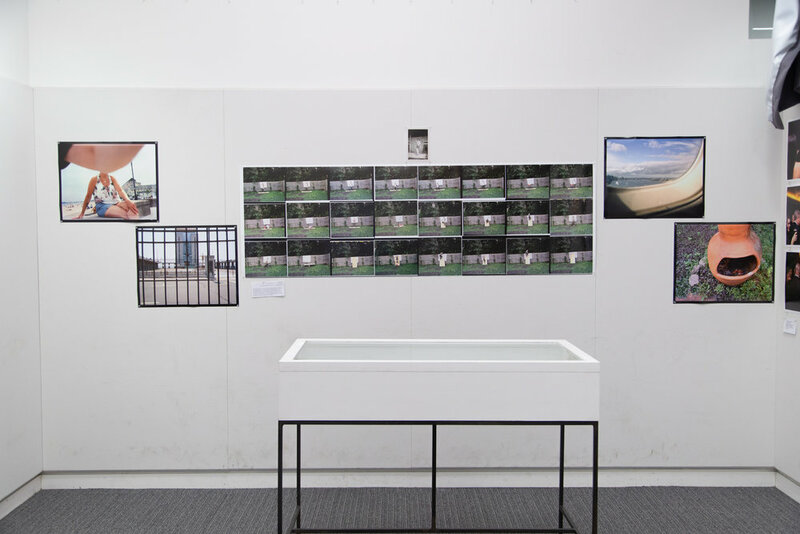 Thesis student Collin Xueqing Yin mimics the subject of display. Jonathan Ellis beside his stunning landscapes. 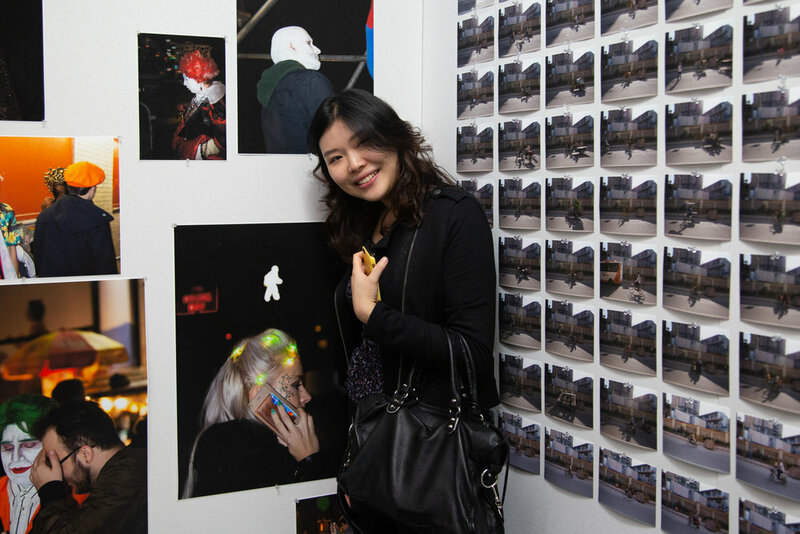 Yeshan Zhang beside her documentary portraiture. Many thanks to everyone who came by and lent their time and support to our talented student body. Your presence and engaging conversations was much appreciated and added to the success of our 2018 Fall Salon. We hope to see you again in the Spring for another edition of MFA Photo, Video, & Related Media’s Salon!